Run in Grey Lynn, Auckland, these exciting and professional screen acting courses focus on the necessary techniques and skills that are vital when auditioning for, or acting on screen or stage in New Zealand and overseas. They are also brilliant for people wishing to improve their presentation and public speaking skills. Each block is made up of different content, so students are able to continue with classes fpr as long as it suits them. The classes cater to all levels of experience, ability and provide students with a comprehensive ‘toolkit’ for Film and TV acting, stage acting,audtioning and public speaking. The teachers also bring in a guest tutors to give advice and insight as to what is expected in the industry. Miryam loves to see people succeed and is a working actor, director and motivator. With her wide experience in both screen and stage work, her dynamic style of tutoring enables people to improve on their skill base and take their screen acting skills to a higher level. Her aim is to teach people to become more confident in the way they approach acting and auditioning. Her classes enable people to be more present in the moment and create authentic performances on screen. Ella is an actor, writer and film maker. 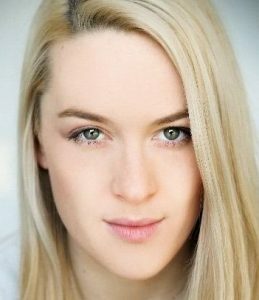 She has a Bachelor in Performing Arts from Toi Whakaari and has also trained with Miranda Harcourt and Brita McVeigh. She works professionally across both NZ stage and screen and has done a multitude of training workshops with award winning local and international casting agents. Aside from her work as an actor, she is also a performance coach having worked on multiple NZ film commission funded films. Her session teaches students to get into their bodies and how this can contribute to character building. Olivia is an actor, director and multidisciplinary artist working across film, television, live performance and radio. 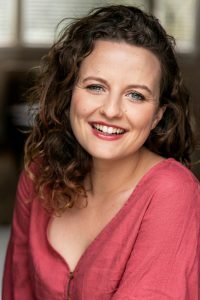 She has a Bachelor of Performing Arts from Toi Whakaari drama school and has also trained with Miranda Harcourt, Brita McVeigh and Joan Scheckel. She draws on both the techniques she learnt from Joan Scheckel in LA and her own personal experience in the screen industry.